This is the first time I get to participate in a blog hop and it's a great one! 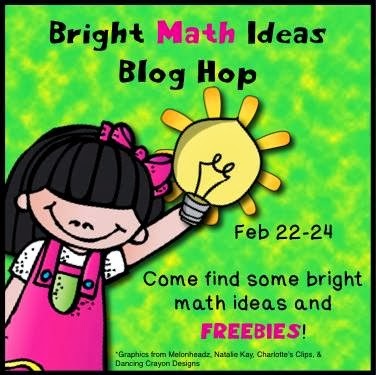 A bunch of us bloggers have gotten together to present to you different math ideas to use in the classroom. Today I am going to share with you how I combine a management system with money practice. 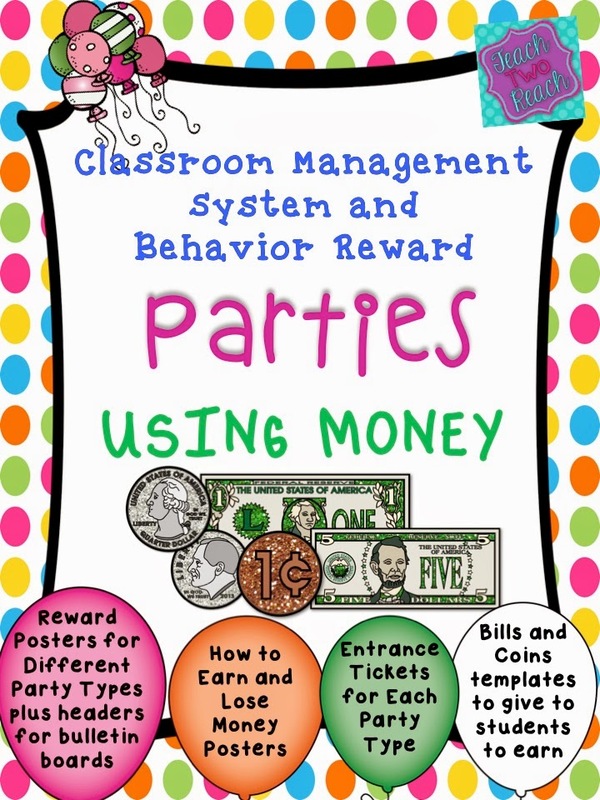 I usually introduce this behavior management system during the money chapter in Math, and then I keep it for the rest of the year. It works well with other systems I have like Class Dojo. 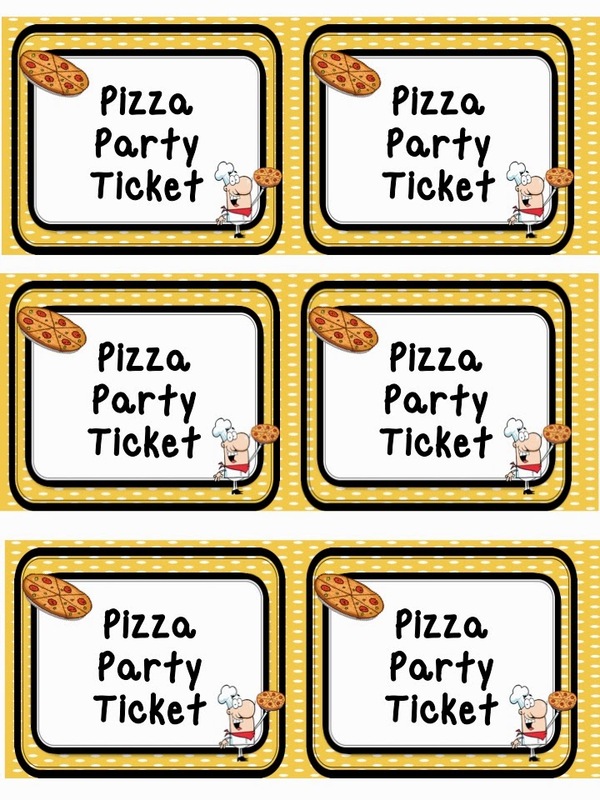 Students can earn money to make it to reward parties. I usually do Friday parties every 2 to 3 weeks. Students have that amount of time to save up their money. Now how do they earn money? It depends on certain behaviors. 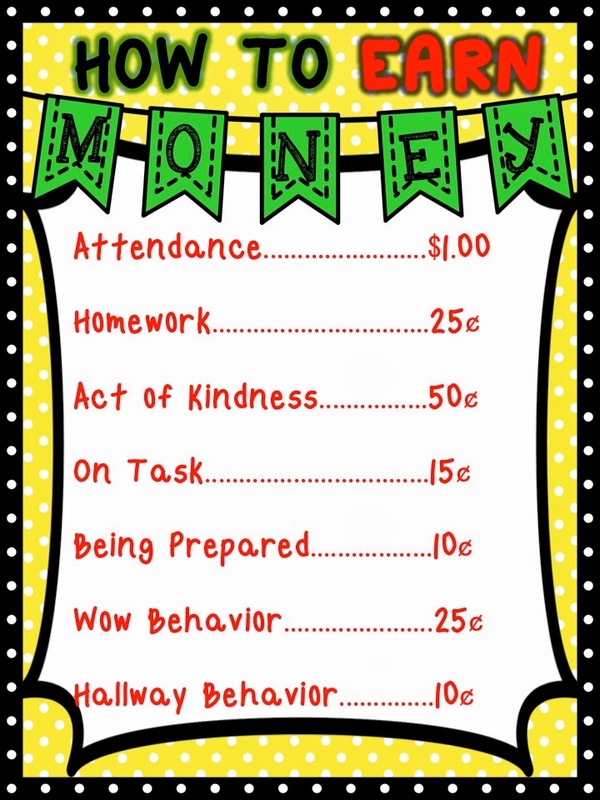 I put up a chart that tells students what behaviors and actions can earn money and which ones will lose money. 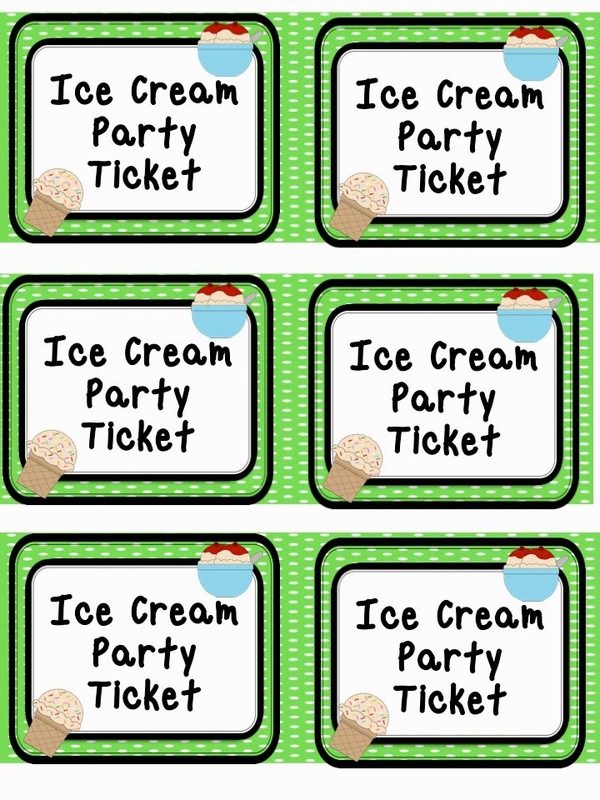 All the categories have different amounts that they can earn or lose. I like to give a full dollar if they come to school on time. Then they have opportunities during the rest of the day to earn their money. 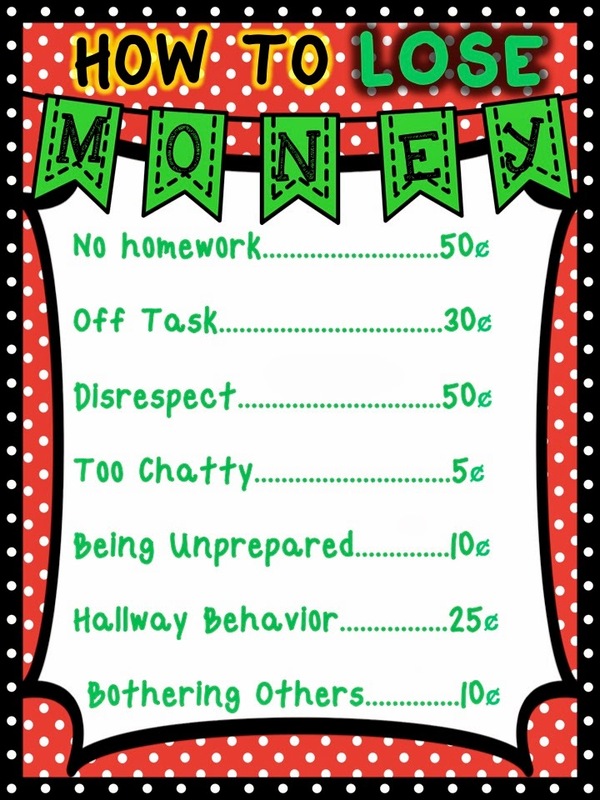 Please see below for the behaviors they can earn money for during the day. Of course, they can also lose money for the following behaviors. I usually designate a time for them to collect money for routine items like attendance and homework. If they end up losing money, I get it from them right away. Either way, earning or losing, they get practice counting and keeping track of how much they have. I let them know which party we are earning for using headers on the display area where the other posters for this system already are. They know they can only make it to the party if they have at least $5.00 for the entrance fee. Once they enter the party, they can use their money to buy additional items. Again, they practice counting money and getting change back. Once the party is over, you can choose to reset them all back to zero, or you can let them keep their leftover money to roll over for extra items for the next party. How do they keep track of the money? Last year I had them keep real play money in zip lock bags. Well, all my dollar bills became really crumpled and kids lost the pretend coins. 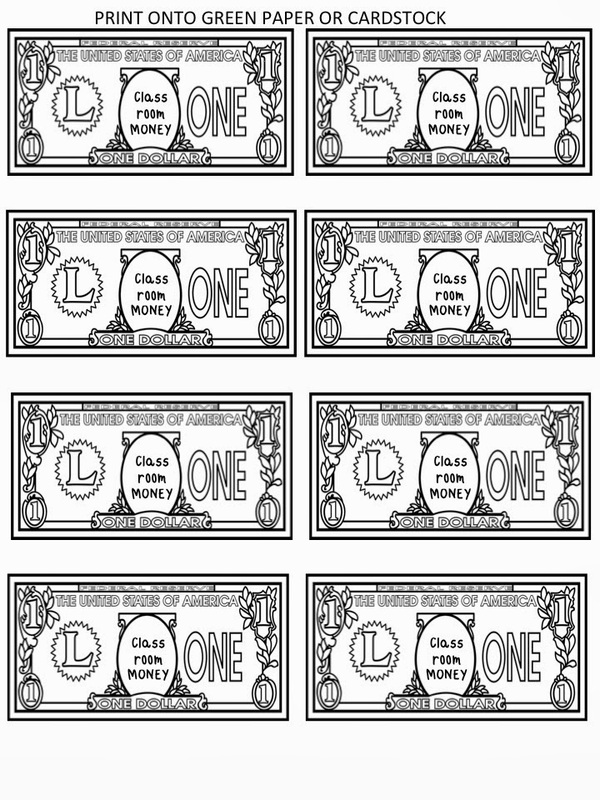 So this year, I have printed out money on colored paper. I also got them file folders from the dollar spot at Target to keep miscellaneous items, and their money can go in there. It is their responsibility to keep track of their money. If they lose it, they lose it. I don't give them the difference. Oh hey, responsibility is thrown in here too! You can go to my TPT store and see the pack for yourselves. In it I have included what you see above, plus different versions of the party posters. 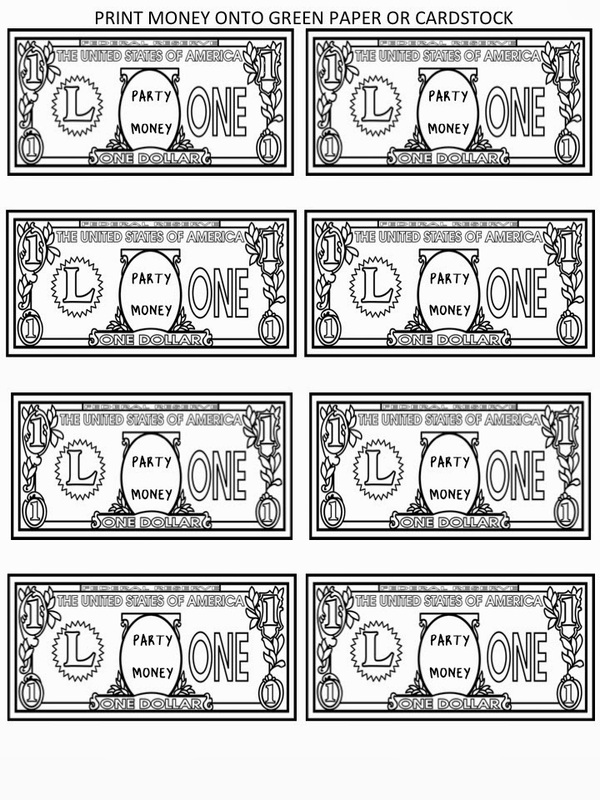 You can choose to use the versions I have with the money amounts or you can write in your own money amount after you laminate it. You can also create your own party type because there is a blank poster. There is pretend money for a dollar all the way to 20 dollars (students can trade in when they have equal amounts), and coins all the way to half dollar. 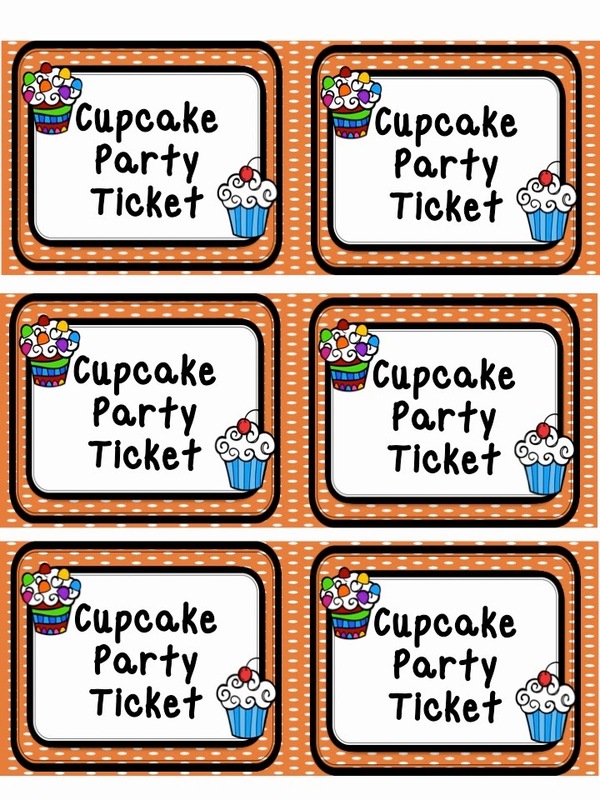 Download the PREVIEW from the TPT product link to get my blog hop freebie. 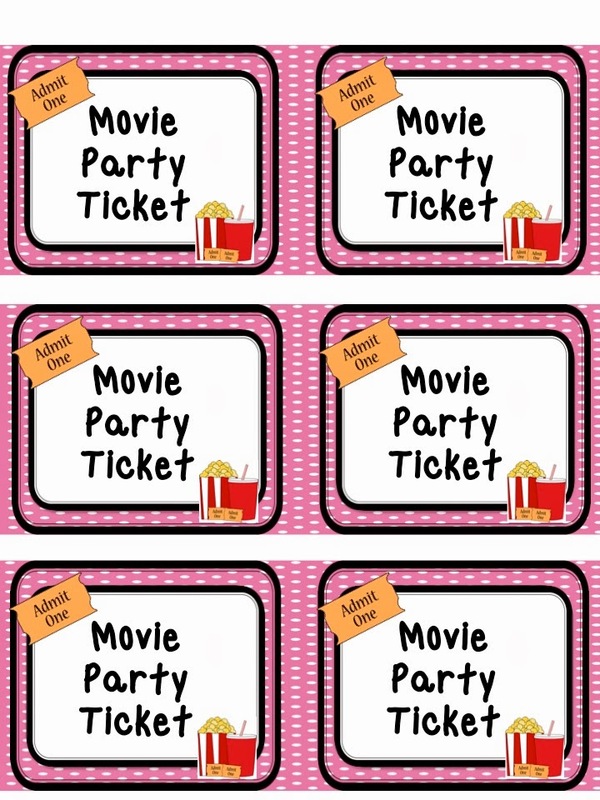 It is a freebie poster for the movie party and the entrance tickets for the movie party, plus dollar bill templates you can copy and hand out. Please click HERE to take you to the item...remember...download the preview. Now, hop on over to THE EVIL MATH WIZARD for the next awesome math idea!! Thank you Laura! I'm glad you like them. THis type of system keeps them movtivated because they always know there's an awesome end goal. 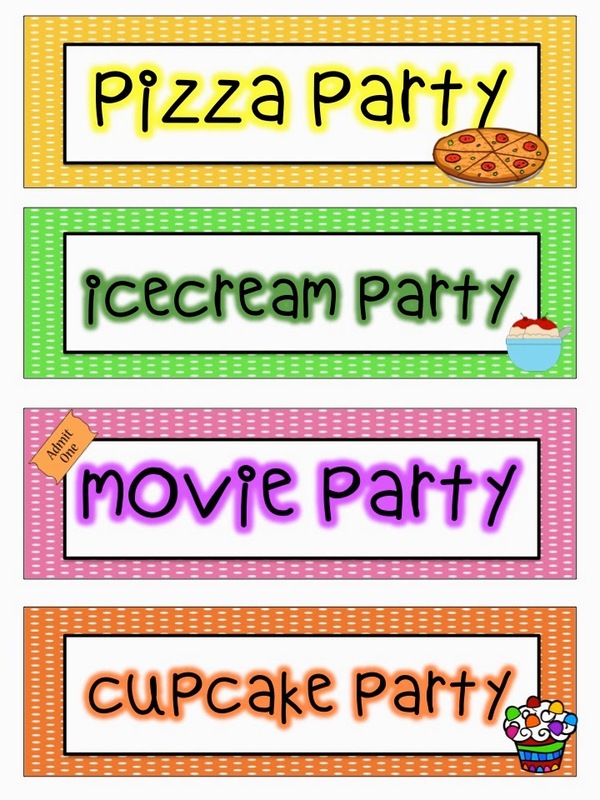 I like the idea of each of your students always being able to access how close they are to the goal of "party entrance". Thanks for sharing! yea!! They WANT to keep on counting, which is great for money math skills.